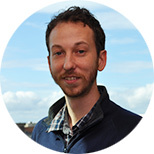 Ethan Sharygin was a Post-Graduate Fellow in the 2013 cohort at IHME. Dr. Sharygin spent a year with the mortality team mentored by Haidong Wang and Christopher Murray. This team assessed the variety of methods by which it was possible to conduct mortality forecasts for all Global Burden of Disease (GBD) countries, as part of the greater project of producing a GBD report with forecasts of disease burden through the next few decades. The team began with data on all-cause mortality, although it focused on methods amenable to eventually modeling cause-specific mortality. This work contributed to a core input for future GBD estimates and publications. After IHME, Dr. Sharygin became a Demographer in the Demographic Research Unit of the California Department of Finance. Sharygin E, Guillot M. Ethnicity, Russification, and Excess Mortality in Kazakhstan. Vienna Yearbook of Population Research 2013. Forthcoming. Sharygin E, Gupta MD, Ebenstein A. Implications of China’s future bride shortage for the geographical distribution and social protection needs of never-married men. Population Studies: A Journal of Demography. 2012; 67(1):39-59. Ebenstein A, Sharygin E. The Consequences of the “Missing Girls” of China. World Bank Economic Review. 2009 Dec; 23(3):399-425.